SellingRestaurants presents this great opportunity to own a profitable well established Yakima Cafe in the heart of Washington State's Wine Country. Yakima is a beautiful setting to own this family owned and run cafe, which offers contemporary Mediterranean inspired/Northern Pacific cuisine, in a charming family atmosphere. refreshments and appetizers before an exquisite meal. The menu items is comprised of delicious hand cut meats and freshly chosen produce including seasonal fruits and vegetables, and we employ a "farm to table" approach where possible. The pasta choices are made in-house, from organic semolina flour, and coupled with sauces which tempt your palate to try more. Enjoy any of our various delectable menu items with a bottle of wine from our extensive wine cellar and complete your meal with one of our homemade seasonal desserts. Before you leave, indulge your taste buds with one of our premier specialty desserts and take a walk along the newly bricked Front Street promenade. 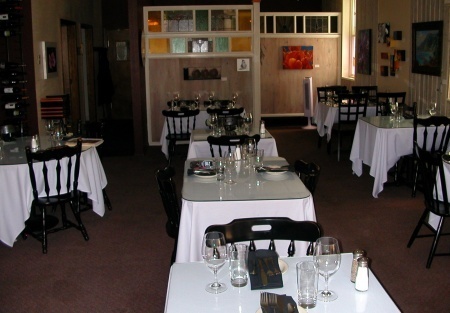 This cafe has been profitable for many years, is located in the heart of Washington State's Wine Country.